Karen Bellantoni has more than 25 years of experience in retail, retail leasing and merchandising. 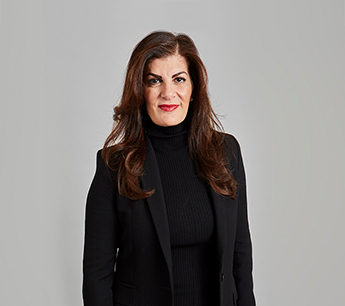 She has been with RKF since 1999, specializing in tenant and landlord representation in Manhattan and most major markets throughout the United States. Karen represents an impressive list of retailers, including J.Crew, Diesel, Esprit, Apple, Bose, Build-A-Bear Workshop, Oliviers & Co., Godiva, Hublot, The Frye Company, BCBGMAXAZRIA, Arhaus, Aritzia, Little Missmatched, lululemon athletica, Rag & Bone, Restoration Hardware and Tumi. On behalf of the upscale apparel retailer Intermix, she completed more than 25 transactions throughout the U.S. She has also secured multiple national locations for Kiehl’s and Elie Tahari. Recently, Karen represented J.Crew in the leasing of several locations throughout Manhattan for its multiple concepts J.Crew Collection, crewcuts, J.Crew Wedding, J.Crew Mens Shop and Madewell. She also recently renewed Diesel’s lease at One Union Square West and is assisting Esprit in the disposition of its stores in select Manhattan markets. Karen represented Apple in leasing two Manhattan flagship locations, including 401 West 14th Street and 767 Fifth Avenue. She has also arranged many individual transactions for retailers as well, including Bose Corp. in the Time Warner Center and at 40 Mercer Street in SoHo, Build-A-Bear Workshop on Manhattan’s Fifth Avenue, M&M’s World in Times Square, Diesel and Oliviers & Co. in SoHo, Operations in SoHo and the Meatpacking District, Esprit’s flagship on 34th Street, Godiva on Fifth Avenue in the Plaza District, Hublot on Madison Avenue and The Frye Company in SoHo. In Manhattan, Karen has represented numerous institutional and entrepreneurial owners in the successful leasing of their retail space. Among her notable assignments are consulting with Related Companies on the Time Warner Center; serving as the exclusive leasing agent for Grand Central Terminal on behalf of the Metropolitan Transportation Authority; successfully leasing 40 Mercer Street on behalf of Hines and Andre Balazs to Bose, Vivienne Tam, Dermalogica and Wachovia; representing Taconic Investment Partners and ING Clarion in the leasing of 401 West 14th Street to Apple, Hugo Boss, Moschino and Tudor Investment Corporation; the merchandising and leasing of Chelsea Market on behalf of Jamestown Properties, where she arranged a 16,153-SF lease with Anthropologie; and 134 Spring Street on behalf of Calliope Associates, where she arranged temporary stores for The Limited, Chanel and Under Armour and most recently a long-term lease with Mulberry. She also recently arranged leases at 15 Little West 12th Street, arranging a 28,000-SF lease with Arhaus Furniture, and One Jackson Square where she secured TD Bank and Starbucks. She served as an advisor to the Port Authority of New York & New Jersey for the World Trade Center redevelopment. Prior to joining the firm, Karen was a Retail Director at Corporate Property Investors (“CPI”, now known as Simon Property Group) where she was responsible for all leasing activities for new retailers in CPI centers. In addition, she was instrumental in generating new business, identifying and creating new programs for prospective tenants, and conducting the firm’s analysis of merchandising breakdowns, property budgets and occupancy costs. Previously, Karen was an Import Program Designer for the May Company of St. Louis and a Buyer and Merchandiser for the 350 stores of Belk Stores of Charlotte, NC. Karen earned a Bachelor of Science Degree in Communications from Ohio University. She is a licensed Salesperson in the state of New York, a member of the International Council of Shopping Centers and the Real Estate Board of New York, and is on its Store’s Committee.